Coe Press Equipment, Sterling Heights, MI, recently installed a new clamshell-style Model CPPS-406-42 power straightener and a CPR-PO-15042 coil reel at Wellman Friction Products, Solon, OH. The manufacturer of friction components that go into brakes, transmissions, and clutches replaced existing feed equipment on a 600-ton press line with the new straightener, to process material to 42 in. wide by 1⁄4 in. thick. The unit’s 30-hp AC variable-speed drive provides line speed to 60 ft./min., producing large clutch plates for use in earth-moving and farming equipment. The straightener features an easy head-lift function that allows for maintenance and cleaning. Wellman expects that the unit will reduce downtime compared to the older unit, which required disassembly of the straightener head to clean the rolls. With the new straightener, the top rollers separate from the bottom rollers to provide access to the straightening rolls for inspection and cleaning. Pushbutton controls are used to activate hydraulic cylinders that raise the head containing the top rolls. The CPPS-406 model features 4.0-in.-dia. straightening rolls and 6.3-in.-dia. pinch rolls. 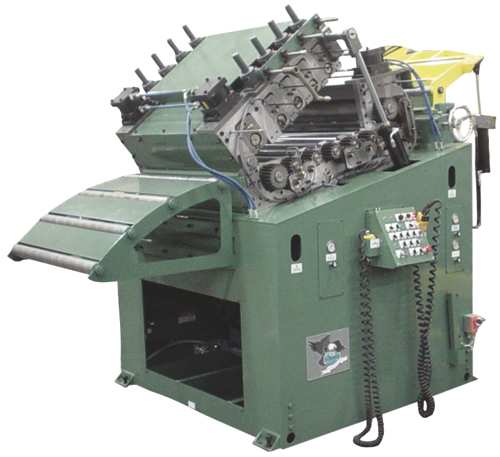 Other features include a nine-roll straightener, an alligator-style peeler for effective dekinking and threading operations, and independently adjusted powered coil guides for effective coil loading and guiding. Wellman also opted to include Coe’s LoopMaster laser loop control, a non-marking chrome roll package, single row straightener backup rollers, self-centering hand-crank entrance edge guides and a Trabon automatic-lubrication system.